Do you remember we reported on the great new vintage department store Blitz last autumn? Well the store is looking really lovely for spring, with lots of great ideas for working vintage buys into your wardrobe for the new season. There’s advice on pastel wearing here, although I think you might want to read Jane’s version first…..it’s a little more practical for anyone not comfortable with showing their upper thighs. As an added tempter this Thursday (5.00pm – 9.00pm) there’s 20% off all new spring 2012 stock. Sale stock is also down to 70% off to clear. You could even take middleagedads and pop them into the coffee shop/library area to relax if they’re not into shopping. 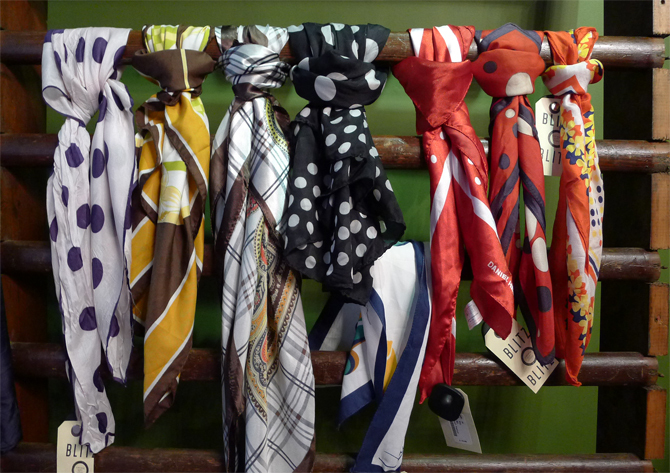 I am stocking up on floral and geometric scarves, having been inspired by the last Hammersmith Vintage Fair (I am practising my Mrs Mop hair knots). And on the subject of vintage fairs, we will be popping along to Anita’s Vintage Fair this Sunday, 29th January, held at the Twentieth Century Theatre at Westbourne Grove, Notting Hill (11.00am until 5.00pm). We haven’t been to Anita’s for a while so we’re going to check it out for you (oh yes, we SUFFER for you guys) and let you know what we think. If you can’t go you may like to view Anita’s website, which has a few online vintage boutiques as well as a great blog. 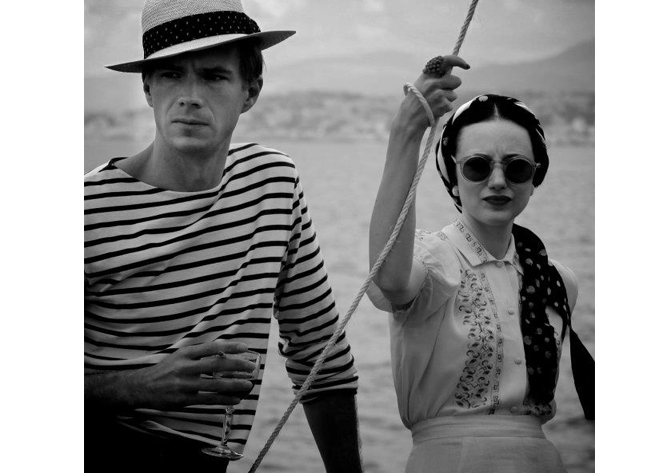 I nicked this picture of W.E, Madonna’s film on Edward and Wallis Simpson from there, I’ve heard it’s a stinker of a film but with gorgeous clothes, I absolutely love this shot. And I like what she’s done with her scarf. Next articleIt’s all about the geo!